Adding some mobility to an otherwise relatively static Rasputina crew, the Blessed of December will jump on anyone who looks at her funny. 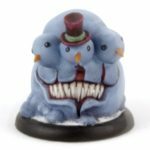 The sculpt is not well loved by the community. I like it enough, although I wish it better fit on the base. I skimped a bit on gap filling around the head. It’s looking so far down that under normal circumstances it’ll be all but invisible. Unlike some models, the fur is well sculpted into the flesh. That means a drybrush gets you pretty far. 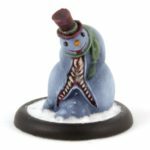 Unlike the last alternate crew I painted, I wanted to get the Winter Wonderland Rasputina set done as soon after release as I could. It’s still winter, right? 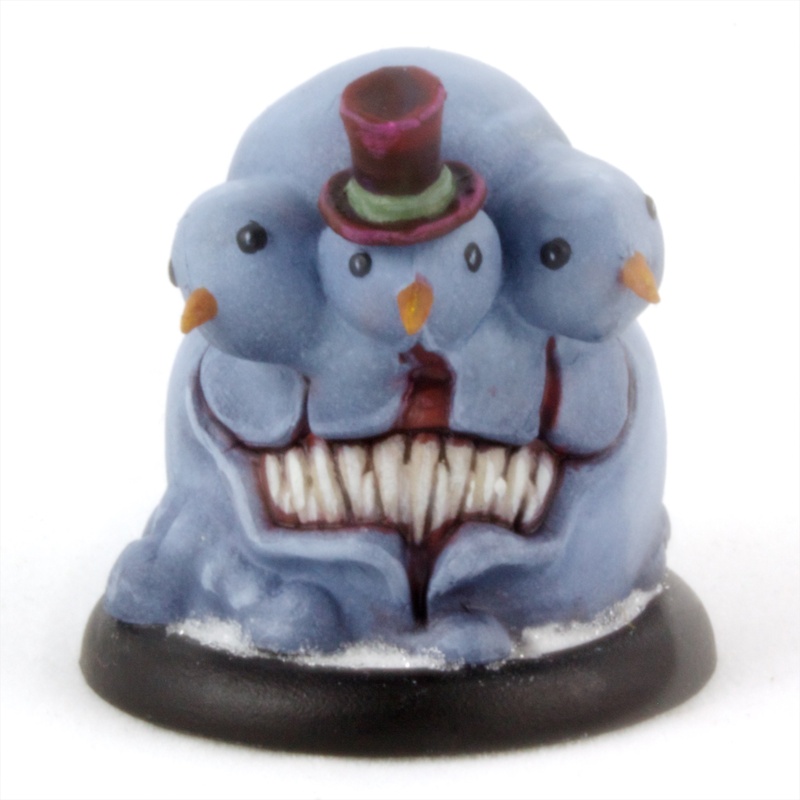 The pre-assembled model for Rasputina had some production problems, so the Black Friday kit included a resin version instead. She ended up being the most troublesome model to assemble. The swirly snow clouds did not want to line up, even after being softened with heat. Green stuff hides the worst of it. The kit came with three separate beast-in-a-box models for the Wendigo. I decided to just use my favorite and save the others for the bit box. 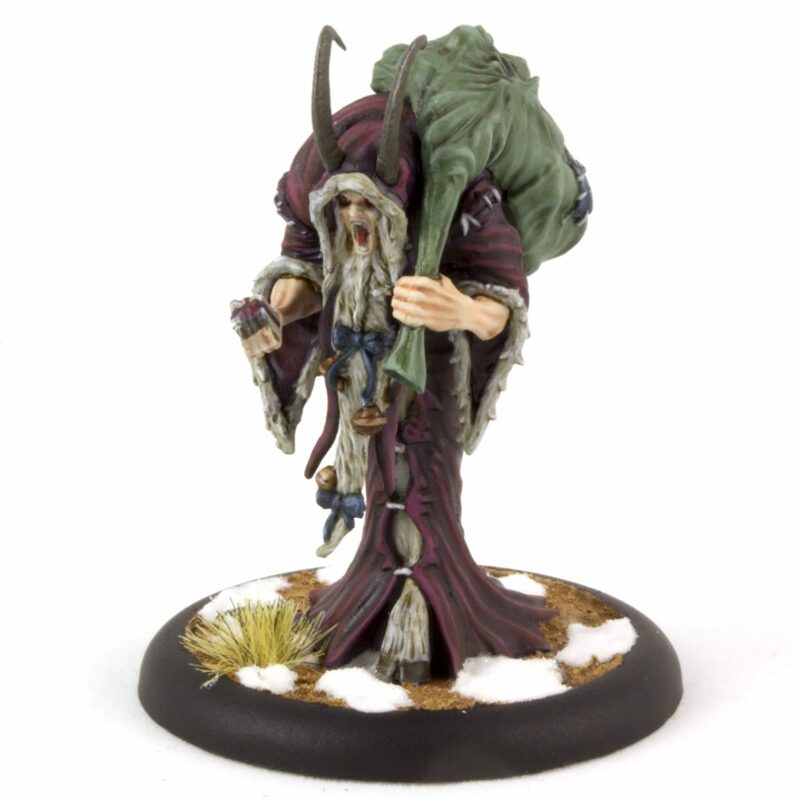 Unlike the yellow official art, I went for a straight up evil Santa scheme for Krampus, including natural flesh tones. The evil Christmas tree as Ice Golem is the model I’m happiest with of the set. 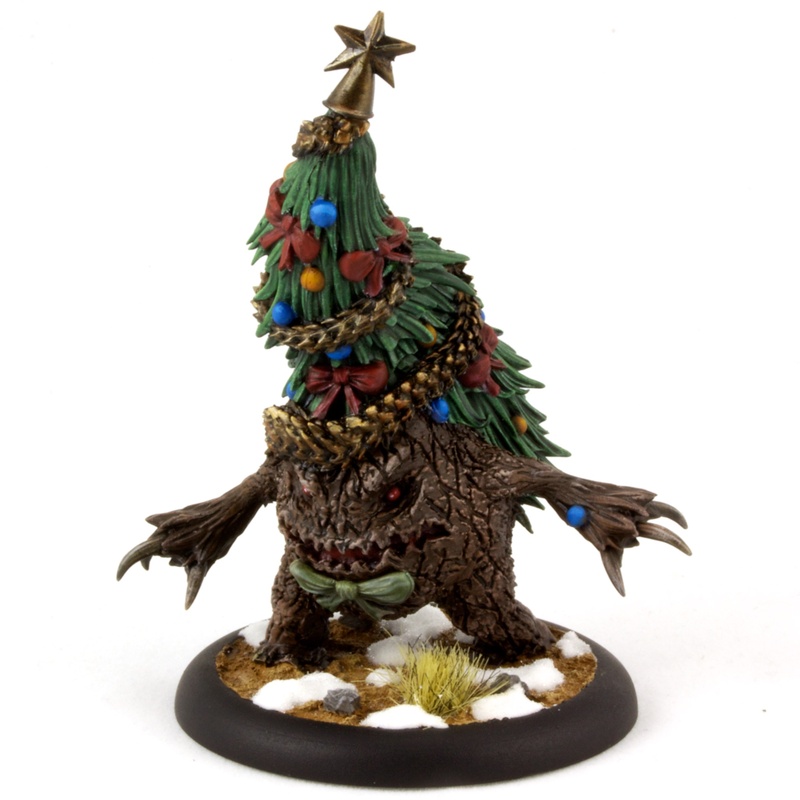 The colors just work nicely together, and too my surprise, the shape of the pine needles actually works. The snowmen Ice Gamin turned out bluer than I expected, but I think I secretly kind of like it. They’ve got monstrous teeth, so something should be a bit off about them. Plus, it separates them from the snowy bases. I guess now, between the Dark Carnival and this Winter Wonderland, I have some choices when declaring Arcanists. I should probably just admit that I’ve added another faction to my collection. 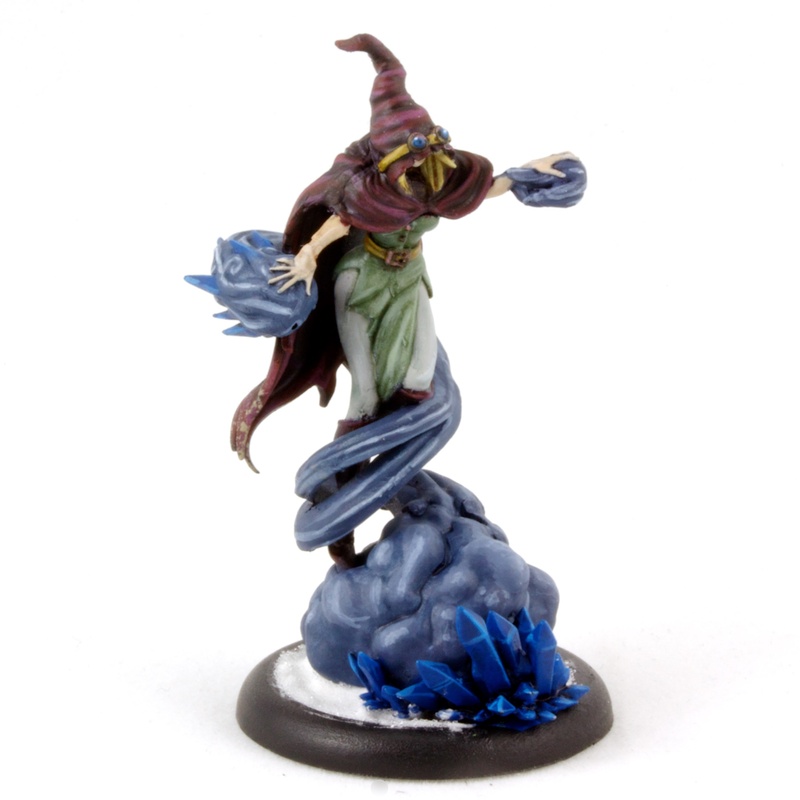 As this blog often demonstrates, I have a weak spot for limited models. 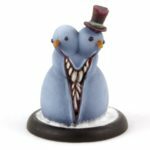 Knowing this, Sean, my friend and regular gaming partner, generously gave me my first metal limited Malifaux model, the Gremlinette. I usually pin plastic Gremlins into already made and painted bases. The Gremlinette came with the a standard metal tab between her feet. I decided to leave it and just build the base around her. The base may have suffered a bit for it, but she’s firmly attached. Now that the metal barrier has been breached, we’ll see what other limited models make their way across my workbench.